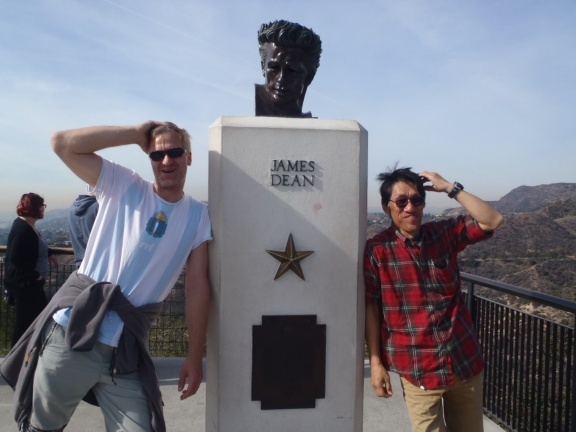 I finally manage to write a few things up on our trip to America over New Year. 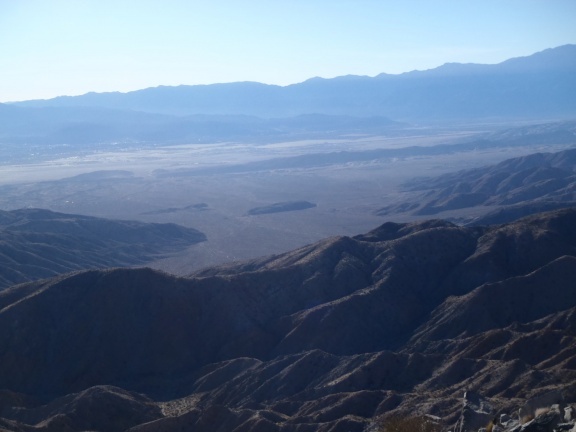 This time a group of 4.5 Japanese (4 Japanese and me) plus two friends from Austria met in Joshua Tree, spend a few days of climbing, partying, camping, followed by a short trip to Grand Canyon National Park and a visit to Los Angeles before flying back to Japan. With great expectations, lots of material, and hope for good weather we left from Komatsu, via Narita, to Los Angeles. 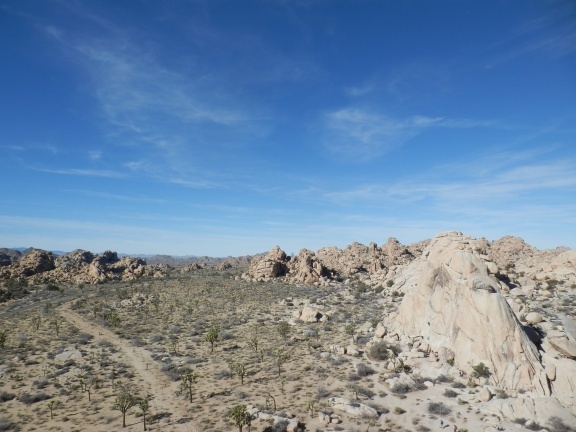 Our plan was to grab the long before rented van, and be off to Joshua Tree in a minute. But not so in America – we were greeted at Hertz in Los Angeles by several hundreds of people wanting to do the same. After queuing for hours we finally could speak over an intercom with an agent, went to all the verification procedure, only to be told – please queue again at the other counter! Holy crap! Fortunately the other counter’s line was not that long, and when we were finally talking with the clerk – expecting to get handed over the keys – the only thing happened was that we were told that the car is not ready by now (Huu! We reserved it 3 months ago!) and we have to wait. Another 1+ hours later we finally could load the car and be off! Driving through the traffic in Los Angeles, sides all wrong and a huge car, paired with a jet lag and very tired due to my incapability to sleep on a plane, I really had to concentrate hard to navigate out of this city onto the highways, without crashing. 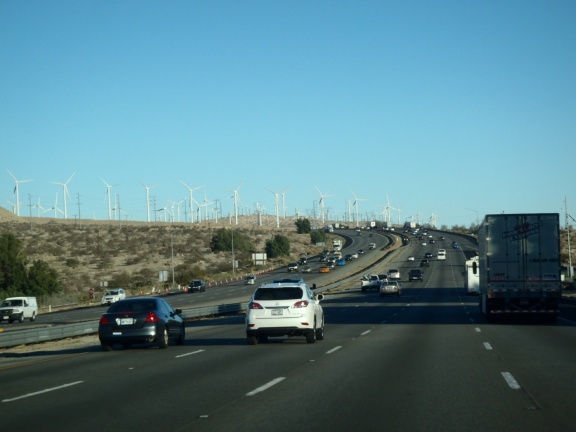 Once out of the city it became a bit more relaxed, and soon we very riding through southern Californian landscapes, in many places dotted with huge windmill farms. Lots of them. Big ones. 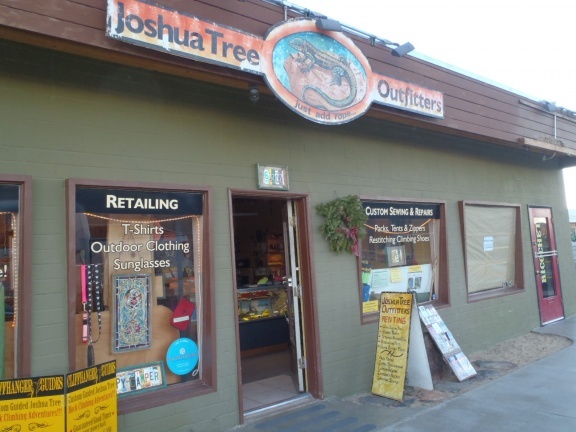 Arrived in Joshua Tree village, we checked in at Joshua Tree Outfitters, a store where we have reserved loads of rental equipment: tent, crash pad, cooking equipment, they even bought food for us! The very nice guy over there I had a lot of email contact was a bit surprised that I am not Japanese – my name could have hinted at that, though. Anyway, our van for 7 was already filled with luggage when arriving there, after we loaded it with the rental equipment and loads of food and drinks (wine, beer mostly) space was running out quickly in the car. When we finally arrived in the National Park it was already dark, which gave us quite some pain in searching for a camp ground. Arriving early in the day would have given us a camp ground in Hidden Valley, in the heart of the climbing area. 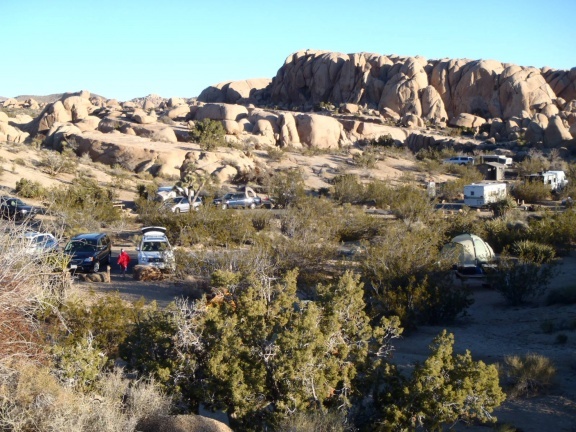 But thanks to our friends at Hertz we lost many hours, and had to camp in the far away camp ground of Jumbo Rocks. Even there it was filling up quickly, but we managed to secure a good spot, a bit away from the cars, with the usual camp site equipment, fire spot and grill. The first evening we didn’t do much but rigging up the tent, getting some beer and wine (actually we finished 3 bottles on the first evening I think), some food, too, and finally a long night of sleep – I was far overdue. It was only at the next morning that we started to explore our surroundings. The rest of the days was mostly filled with climbing. 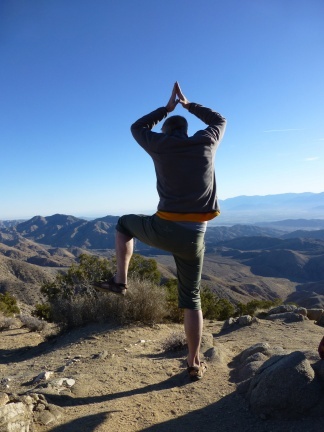 Climbing in Joshua Tree is a bit different from what we are used in Japan, or me back in Europe. Mostly trad climbing, one has to put all the protection by oneself. But even more surprising was the extremely tough grading. But more on this in a different blog entry to follow soon. Since our camp ground was far from any gate of the park, and thus also far from any village, we cooked all but one day on the camp ground, making bonfire every day and getting all our clothes smoked. 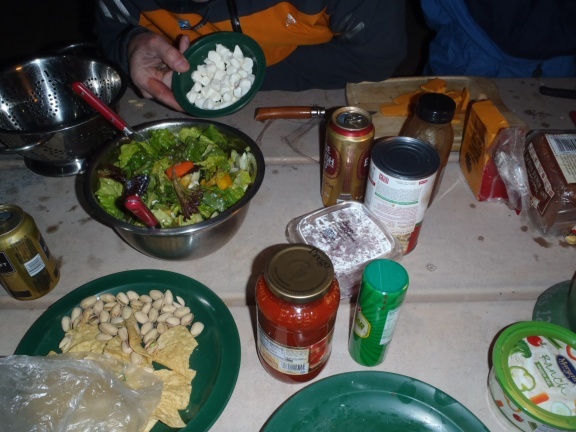 The food we prepared was a wild mixture of bread, cheese, pasta, Japanese mochi, salad, dips, chips, cookies, whatever we found and we starved for. Climbing the whole day leaves you hungry! Due to the deep winter time we had to do this always during the dark hours, when the outside temperatures actually droppped considerable. During the day we could climb in short sleeves, while in the evening we were wearing all we had, and sometimes sitting even in the sleeping bags for dinner! During our preparation back in Japan our greatest fear was the weather. 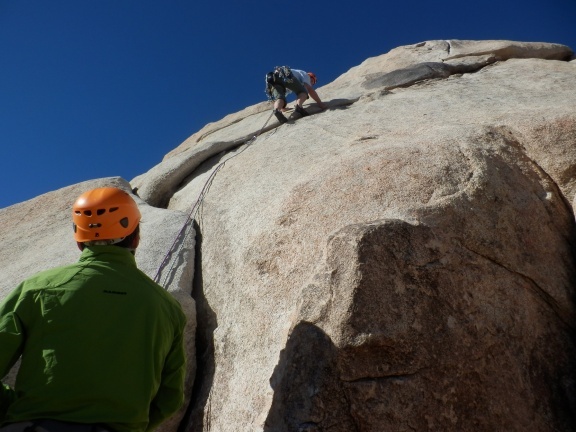 Imagine a climbing trip to Joshua Tree and then there is rain or snow! But in fact, we had only best weather, incredible. Every day sun, no rain at all, no snow. Coming from rain and storm ridden Ishikawa we were surprised and glad to be so blessed with good weather. But although my companions believed that it was just pure luck, in reality I cared for the good weather by performing my famous Good-Weather-Dance in regular intervals. Being out with natural science teachers there was no way we could skip a trip to the viewpoint from where one can see the spectacular St. Andreas Fault, the roughly 1300km long transform fault separating the Pacific plate form the North American plate. 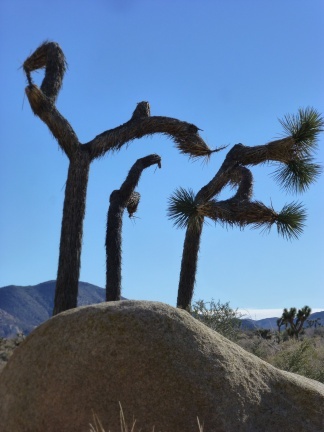 A few words to the name of the National Park: Named after the Joshua Tree, or Yuca brevifolia, these trees are really all-present. One cannot go long before bumping into one of these interesting and often quite twisted trees. Spiky as they are they are not very inviting for tree climbing, but give good motives for photos. After having torn our fingers into pieces in the cracks of Joshua Tree, we set of for the long trip to Grand Canyon National Park. Driving through the desert, we stopped at one of the rare places to get something to drink and have a rest – and were surprised by a shop owner with perfect Japanese. He lived in Nagano for some time, and said it was his greatest failure to return to the States. Maybe he should have returned to a less desolated place? The long but relaxed ride brought us late in the evening to the town of Flagstaff to the south of the Grand Canyon, where we checked into one of the many motels. The next morning, after a hurried breakfast, we drove over to the Canyon and spent the whole day enjoying the great scenery. 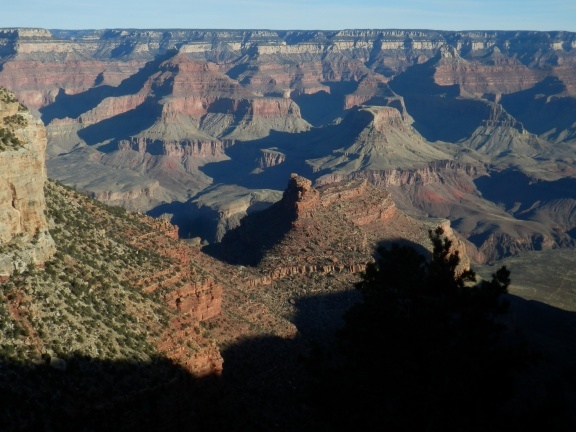 I must say I was completely overwhelmed – although I have seen many photos of the Canyon, actually standing there is something one hardly ever forgets. More on this in a separate blog entry. 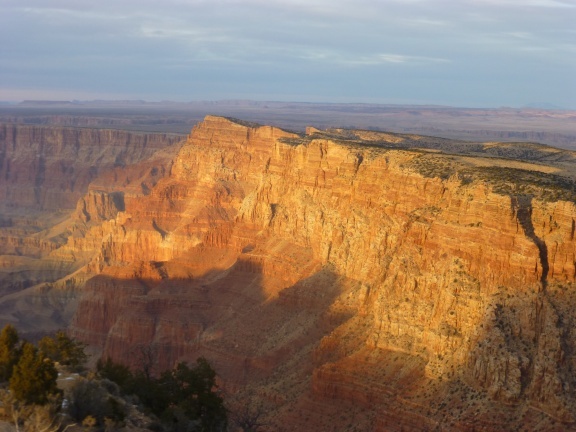 After a full day of walking around on the southern rim of the Grand Canyon we ventured to the Desert Point in the far east to enjoy a spectacular sunset, which we endured in spite of the freezing coldness. We left the Grand Canyon after the sun had already set, the sky dotted with clouds and a mixture of color. 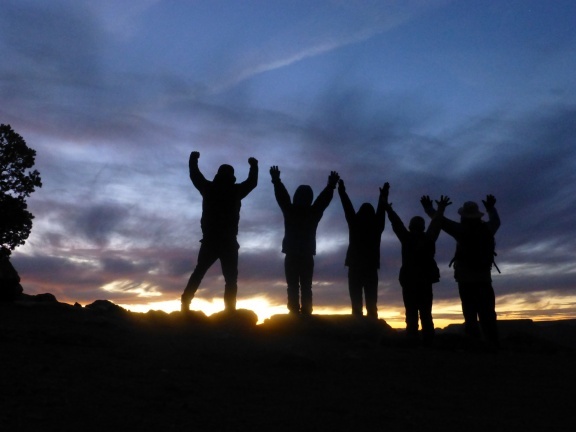 We all felt high from the great experience and time we were allowed to spend in this great surrounding. Before flying back we had half a day in Los Angeles, were we visited the usual spots, mostly the Hollywood Drive, a Hollywood Museum, and the viewpoint above Los Angeles. Where in Vienna we would have busts of famous scientists and philosophers, her the really famous ones are put up for semi-eternity. 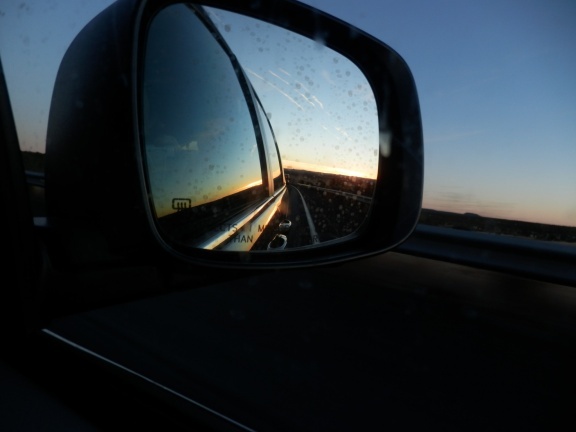 During our trip we traveled parts of the famous Route 66. 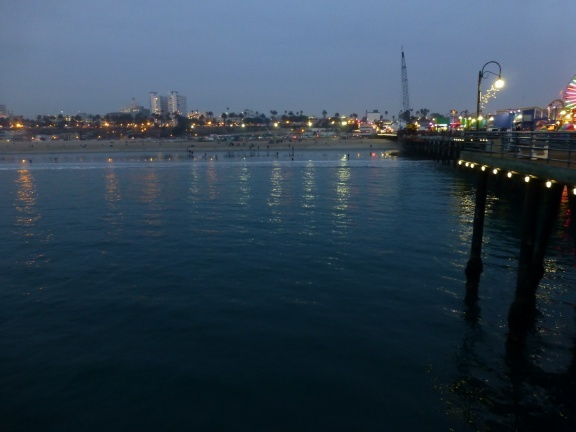 Our last stop was in Santa Monica, a resort village just outside of Los Angeles, with beaches, pubs, and even in winter people swimming and surfing. The last sunset at the peer, and the special atmosphere after dark gave a nice feeling, which we carried over to an excellent Mexican restaurant at the end of the day. 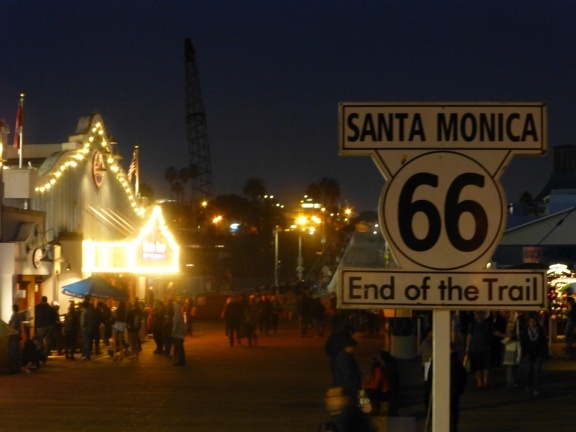 And so our trip ended, more or less like the end of the Route 66, again in Los Angeles. Full of good impressions, new friends, great experiences, and sure to be back at some point, we left Los Angeles back to Narita and Komatsu. Thanks to all my companions for the great trip, to the good friends that we met in the States for their support. I am looking forward to more trips to other corners of the US! More photos can be found on the photo gallery Joshua Tree and Grand Canyon 2013.